CRAZY COOL GROOVY!!! 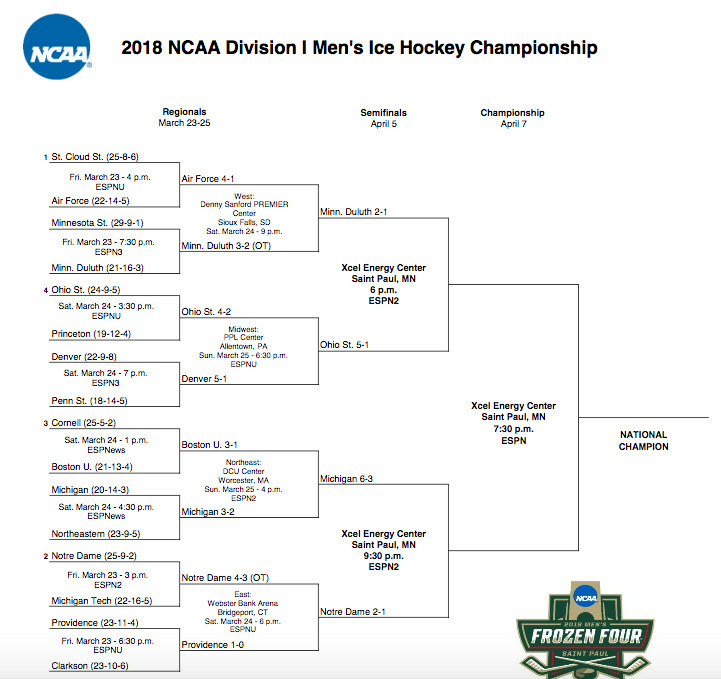 : MARCH MADNESS 2018 - NCAA DIVISION I MEN'S ICE HOCKEY FROZEN FOUR BRACKET!!! MARCH MADNESS 2018 - NCAA DIVISION I MEN'S ICE HOCKEY FROZEN FOUR BRACKET!!! The 2018 DIVISION I MEN'S FROZEN FOUR is HERE!!! 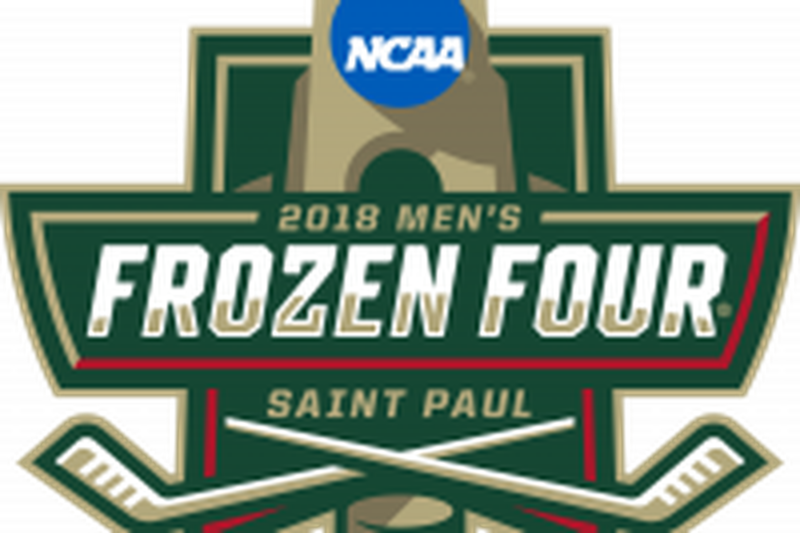 All of the icy roads have lead these four surviving teams to the 2018 NCAA DIVISION I MEN'S ICE HOCKEY TOURNAMENT FROZEN FOUR that will take the weekend of Thursday, April 5 - Saturday, April 7, 2018, at XCEL ENERGY CENTER in SAINT PAUL, MN. Courtesy of the really great folks at SBNation, here is everything you wanted to know about 2018 NCAA DIVISION I MEN'S ICE HOCKEY TOURNAMENT - BRACKET, SCHEDULE, SCORES, And; so Much MORE. 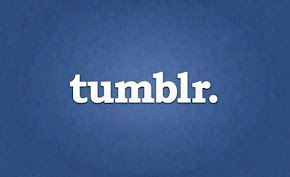 The 2018 MEN'S FROZEN FOUR kicks off Thursday, April 5, with the MINNESOTA-DULUTH BULLDOGS facing the OHIOSTATE BUCKEYES at 6:00 PM ET, followed by the MICHIGAN WOLVERINES vs NOTRE DAME FIGHTING IRISH at about 9:30 PM. The 2018 CHAMPIONSHIP GAME takes place Saturday, April 7.